This Policy applies to all the personal data we collect about you. 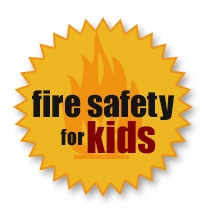 This includes data collected at events, on https://taylorsfirerescue.org, and any other websites. This includes any mobile access. We may occasionally revise this Policy. Any new policy will be effective when it is published on the Site. You should return here regularly to view our most up to date Policy. You should also print a copy for your records. The Taylors Fire and Sewer District website (available at https://taylorsfirerescue.org) is operated by WordPress. Taylors Fire and Sewer District is a company incorporated in 3335 Wade Hampton Blvd. Taylors, SC 29687. We refer to Taylors Fire and Sewer District together with its group entities as “we”, “us” or “our” in this Policy. This information is mainly anonymous because it does not contain personal information. However, this information may associate with your personal information if you provide it. We may use publicly accessible data to verify information we are provided with. The data may also be used to manage and expand our organization. To send periodic emails about your order or other products and services. To provide the information, services or support you request and related after-sales services. To manage our relationship with you and to carry out any related administration. To detect, investigate and prevent activity that may be illegal, unlawful or harmful. To enforce our Policy or any other purpose referenced herein or therein. In more legal terms, we process your personal data where we have your permission to do so. You may take back your permission given to us at any time. Essential: cookies that are essential to provide you with services you have requested. If you set your browser to block these cookies, then these functions and services will not work for you. In particular, we won’t be able to save your preferences about cookies. Performance: cookies which measure how often you visit our sites and how you use them. We use this information to get a better sense of how you use our site, so that users have a better experience. For example, we collect information about which of our pages are most visited, and by which types of users. We also use third-party cookies to help with performance. For example, the Google Analytics cookie gives us data about your journey between pages, and if you download anything. Functionality: cookies used to recognize you and remember your preferences. Used to remember settings when you return to our site for a more personalized experience. Your browser, device and your IP address. This technology is used in analyzing trends and gathering demographic data about users. We may receive reports based on the use of these technologies on an individual as well as combined basis. We gather some information automatically and store it in log files. This website may contain links to other sites. Embedded content from other websites behave in the same way as if the user has visited the other website. Please be aware that we are not responsible for the content or privacy practices of such other sites. We encourage our users to read the privacy statements of any site that collects information when they leave our site. Track your interaction with the embedded content. This includes tracking your interaction if you are logged in to the embedded website. We are not responsible for the privacy policies or content of those websites or services. Personal data that you provide to https://taylorsfirerescue.org is stored by Taylors Fire and Sewer District on servers located in third party data centers. This is in the United States with restricted access. We have created reasonable procedures to prevent unauthorized access, and the misuse of personal data. Taylors Fire and Sewer District will restore the availability and access to information on time in the event of a physical or technical incident. When Taylors Fire and Sewer District transmits complaint-related data, we protect it through the use of data encryption methods. We commit to keeping your information confidential. We may disclose personal data to enforce our policies, or to follow legal obligations in any country where we have entities or affiliates. For example, we may respond to a request by law enforcement or regulatory or governmental authority. We may also disclose data in connection with actual or proposed court case. Data may also be disclosed to protect our property, security, people and other rights or interests. Wherever we collect sensitive information , that information is encrypted and transmitted to us in a secure way. We share your information with third parties who help deliver our services to you. You may have accessed https://taylorsfirerescue.org through a hyperlink. If so, you consent to the shared information of your personal details. These details include behavioral patterns. If we or any part of our group is sold, or its assets transferred to a third party, your personal information, as a valuable asset, may also transferred. This may happen even if they are not in the same line of business as us. Our member database could be sold separately from the rest of the organization, in whole or in many parts. Potential purchasers and their advisors may have limited access to data as part of the sale process. However, use of your personal information will remain subject to this Policy. Similarly, your personal data may pass on to an inheritor in the unlikely event of a liquidation, bankruptcy or administration. Please remember that when you share information publicly on https://taylorsfirerescue.org, it may be indexable by search engines. An example could be a comment on a blog post. This may mean that the information is made public. We will hold your personal data as long as is necessary for the purposes set out in this Policy. We may also hold as is required by applicable law, and then we will delete it. Taylors Fire and Sewer District reserves the right to alter its privacy policies. Any changes to the policy will be posted on this page. If Taylors Fire and Sewer District changes this policy in the future, we will state the date of the changes at the top of the policy. Any new policy will be effective when published on https://taylorsfirerescue.org. You should return here regularly to view the most up to date Policy. You should also print a copy for your records. ©2013-2019 Taylors Fire and Sewer District All rights reserved.